Trendy and comfortable;This pair of the flat which is made up of the high-quality material having beautiful design makes it different. Rajasthani and Ethnic to be worn all day long. Give a beautiful complement to your ethnic look in the form of these charming flats;having the best outer material along which make them comfortable to wear. It is very classy and unique look which gives you attractive look and its lace gives its different look. We provide individual;featuring a trendy;comfy and traditional Jaipuri design inspired flats from the house of our team;This Stylish pair of flats with your ethnic apparel to complete your look. We manage the quality;style and durability of the products. This Flat with sequence and fine quality material and will get you noticed for all good reasons. Femme Royale introducing a dazzling scope of keen and stylish footwear from our team that makes an ideal pick to include your easygoing wear accumulation. 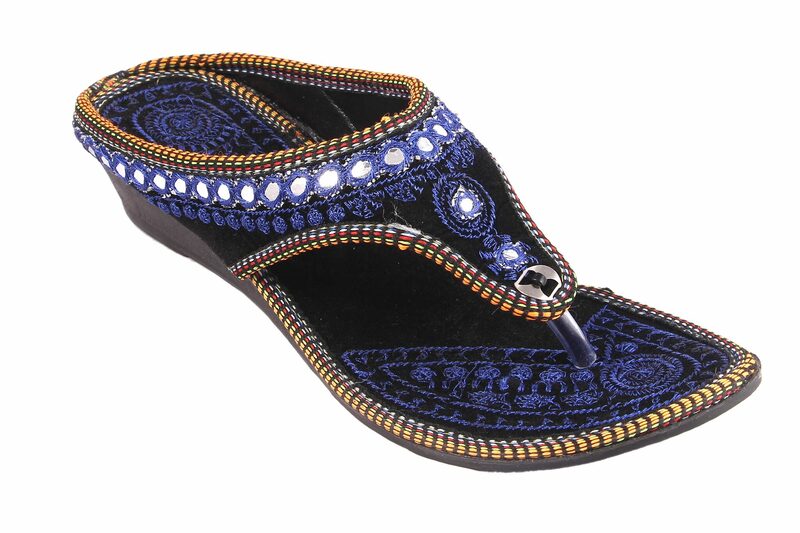 We provide a great range in Ladies Flats;Sandals;Juti;Rajasthani Footwear;Bellies;Ethnic footwear etc.